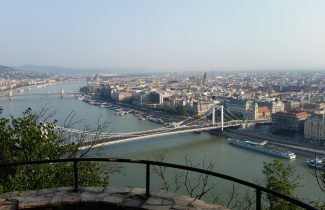 After traveling to many amazing places for past several years, I was not expecting that this Avalon Danube River Cruise could present so many special sights in a way I had not seen them before. This trip was a wonderful surprise! I had not imagined Eastern Europe could be so beautiful. 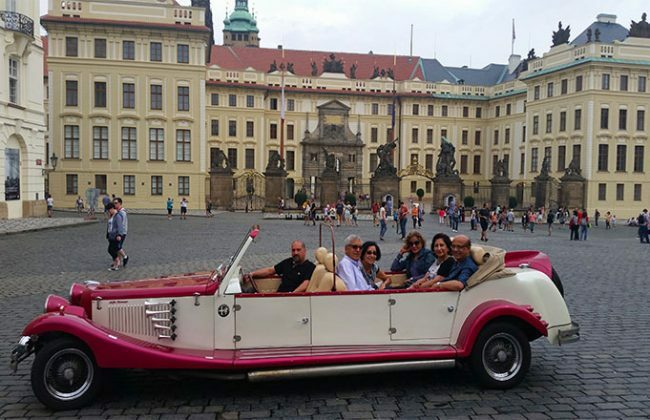 To start, we flew into Prague and a taxi took us to our beautiful hotel right in heart of Prague. This city has the most beautiful architecture as nothing was destroyed during world war. 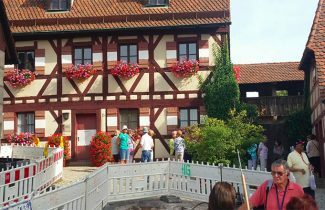 The buildings are over a thousand years old, and are very well preserved. Walking the cobble stone streets lined with lush green trees, walking along the river Vltava, and going over the charming bridges in the morning or evening, was something I will never forget. Trying the local foods like barbecued meats at small street joints in the evening with their tangy mustard ( mm good), and the great local beers is a must for everyone. I would definitely recommend arriving a couple days early, and staying in Prague. We were very glad we did, as otherwise we would have missed all the fun we had in this wonderful city! 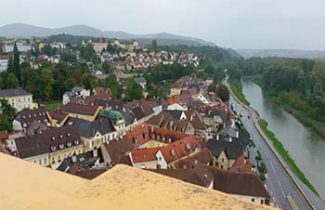 We drove in a very comfortable bus to our Avalon River Cruise vessel in Danube (Danube is two hours away from Prague), and sailed the same evening towards Nuremberg sitting in comfortable sofas, and enjoying the beauty and greenery of Germany. The Avalon River Cruise staff were very attentive, and brought drinks and snacks to us on the deck. Nuremburg is another beautiful city with great architecture, cute narrow allies with flowerpots, beautiful climbers, colorful artistic shops, and amazing bakeries. We all went into their bakery to try their famous ginger bread cookies, and bought a few bags to bring back to Vancouver. However, we finished them before they could reach home(they were too good )! Our next morning stop was Regensburg; we all rushed off the River Cruise vessel after a delightful breakfast to do the walking tour of this beautiful, not too commercial city. 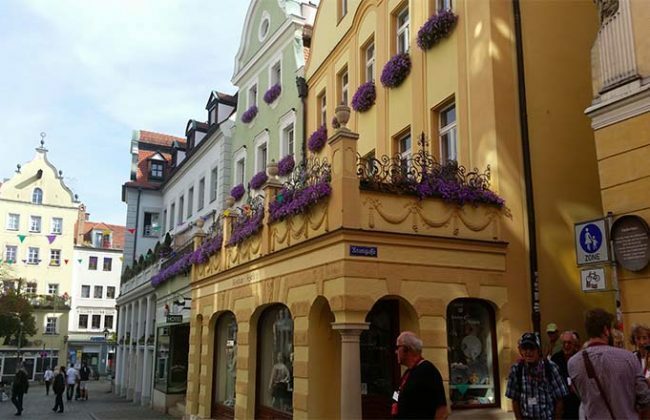 Regensburg was absolutely spotless; city square had the most beautiful flowers lined up in huge pots around the homes of the wealthy. This city is very safe and secure, so many wealthy people build beautiful palatial homes here in the heart of it. I will never forget the food I ate in Passau, our next stop. Passau is famous for its chicken sausages and sauerkraut (I don’t like any of those two). I was with a group of people, and our River Cruise attendants recommended this cute little restaurant next to the river. Everyone in the group wanted to eat there, so I had to say yes too. When the food came with sweet and sour mustard (everything is prepared by the restaurant from scratch,) I skeptically tried it. To my great surprise it turned out to be absolutely delicious, and I finished my whole plate before anyone else. This cute little city and its lovely, friendly people won our hearts. Our River Cruise vessel sailed at a nice pace and we enjoyed many locks, low bridges, ancient roman buildings, and cute little towns along the river. Locals were fishing, sailing and cycling along the river. In most of the towns there are cycle paths which run along the river. 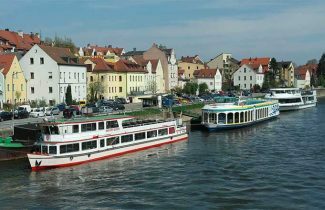 If you enjoy cycling, you can cycle along the river to the next town, and the River Cruise vessel can pick you up when you arrive.